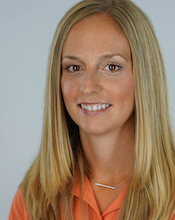 Dr. Alisha M. B. Braun is an Assistant Professor of Social Foundations in the Department of Educational and Psychological Studies at the University of South Florida. Her research examines policy and practice related to access to quality education for marginalized children. Her current research focuses on inclusive education for students with disabilities in sub-Saharan Africa. 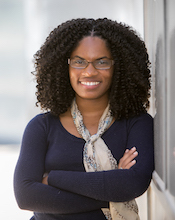 She completed her Ph.D. in Educational Policy from Michigan State University with graduate specializations in International Development and African Studies. Dr. Lois Harmon is an assistant professor and Coordinator of the Master’s of Arts in Teaching program in the School of Education at William Jessup University. Harmon’s commitment to equitable teaching and learning and the improvement of teacher education has sparked her scholarly interests in teacher preparation and literacy development. In particular, Harmon’s research focuses on how teacher candidates are being prepared to effectively support the academic language development of English Learners. Dr. Harmon received her M.A. and Ph.D. in Education with an emphasis in Leadership and Organizations from UCSB. An alumna of Florida Agricultural and Mechanical University (FAMU). Harmon received her B.S. in Elementary Education and holds a Florida Educator’s Certificate with endorsements in Reading and English speakers of other languages (ESOL). Born and raised in Gainesville, Florida, Harmon currently resides in Rocklin, CA, and takes pride in being a bicoastal resident. Dr. Wendy Ruchti is an assistant professor at Idaho State University in STEM and Science Education. She began her career in education in 1994 as a middle school math and science teacher, and completed her graduate studies at the University of Idaho in 2001. Since 2008 she has been at Idaho State University as an Assistant Lecturer and Assistant Professor. She took three years off from higher education to work for EL Education, supporting schools implementing the EL model of school reform. 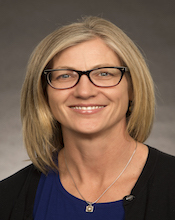 Now back at Idaho State University in the College of Education, she continues to support schools and research the implementation of project-based learning. 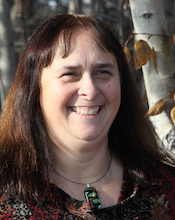 Dr. Joanne Healy developed the Special Education Master’s degree and related Certification Programs at UAF after 21 years as a special educator. She is the faculty advisor for the CEC Student Chapter, a board member for Undergraduate Research & Scholarly Activity and on the SOE-wide Council for the Accreditation of Educator Preparation committee. She teaches special education teacher preparation courses including two classes about Autism Spectrum Disorders (ASD). Dr. Healy acquired two humanoid robots through Provost Technology in Education Grant. She is researching the changes in behavior of children affected by autism who work with the robots. She infuses a variety of technologies in all her classes including requiring pre-service teachers to teach an introduction, how to drive, and how to code a robot in their classroom. Other research includes being a Co-Investigator on a National Science Foundation Grant entitled Factors Related to Teacher Retention in Arctic Alaska. Dr. Healy worked to get the Masters in Special Education program certified Nationally for Online Program Design by Quality Matters. It is one of five programs with this designation and the only Special Education program to receive this National Certification. Dr. Sanghoon Park currently teaches graduate courses in Current trends of Instructional Technology, Interactive Media, and Motivational Design in Learning Technology. His teaching goals are to create an optimal learning environment and provide students with excellent teaching and advising. His teaching is closely intertwined with his research and service, both of which focus on strengthening students’ potential for academic growth and positive learning experiences. 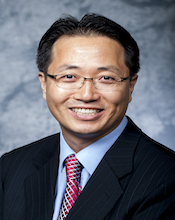 Dr. Park’s research agenda involves utilizing effective instructional design approaches and emerging technologies to provide optimal learning experiences in diverse learning settings. His research has focused on designing motivational interventions for online learners, investigating the effectiveness of multimedia technology in grades K-16 STEAM education, and exploring the educational implications of emerging technologies for learning experience design (i. e. pedagogical agent, augmented reality, and virtual simulation). Dr. Park is an author of more than 20 publications on online learning, motivation, engineering education, and emerging technologies in top-tier academic journals including Computers and Education, Studies in Higher Education, Journal of Educational Technology & Society, The International Review of Research in Open and Distributed Learning, Distance Education, Computer Applications in Engineering Education, and International Journal of Human-Computer Interaction.